You guys probably know by now that I am an advocate of cardio, which is unlike most other trainers that focus mostly on heavy lifting (Nothing wrong with that! It’s just not for me). DO I NEED TO WALK ON AN EMPTY STOMACH? Not necessarily. 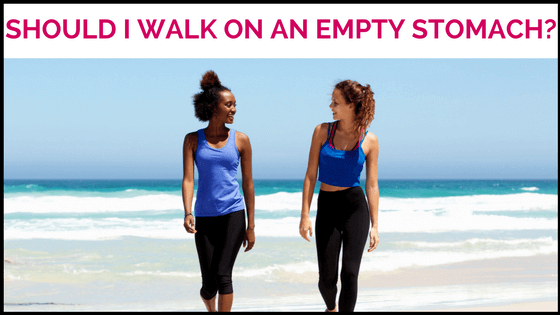 Any walking is great and the more steps you can accumulate during the day, the better! 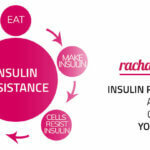 But it is possible that you might burn a higher percentage of fat if you do your walking fasted (i.e. before breakfast). Walking burns stored carbohydrates (stored in your muscles as glycogen) and fat. If you don’t have as much stored carbs, your body might burn more fat. Also, it will be more effective if you have eaten a low carb meal for dinner the night before. It can be beneficial to do your walking on an empty stomach, but it’s not necessary. Walking any time of the day is good! WHAT SPEED SHOULD I WALK AND RUN? These speeds should be used as a guide only. Speeds will also vary depending on your height (obviously taller people will be able to walk / run faster). I would suggest aiming for a walking speed of 6-7km/hr or 3.7-4.3mph. WHAT INCLINE SHOULD I WALK / RUN AT? I suggest zero. Walking and running is best done on a flat surface if you don’t want to bulk up your quads. Any uphill walking and running will use your quads more and can make your legs bulkier. If you are on the treadmill, you can set your incline to 0.1% to replicate walking outside. But if you have trouble with shin splints (like me), I would keep it to 0%. 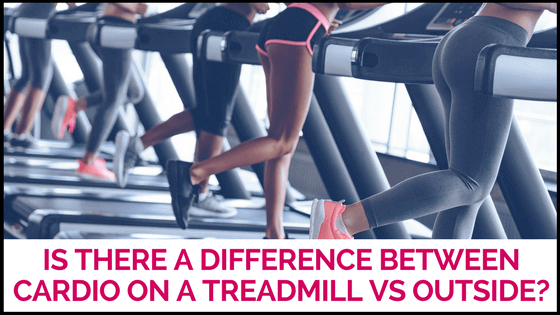 IS THERE A DIFFERENCE WALKING / RUNNING ON THE TREADMILL COMPARES TO OUTSIDE? No, they will both have the same results. It’s just more of a personal preference. Sometimes I prefer doing my cardio on a treadmill because I can track my speed and see if I’m improving (especially for running). But it just feels good running outside! And I also don’t mind walking on the treadmill because I can watch a TV show on my phone as I walk ;) Another great benefit of having access to a treadmill is that you can do your cardio regardless of the weather conditions. IS IT BETTER TO RUN SLOW OR FAST? A lot of women tell me that run slowly for 45 minutes and are confused as to why this isn’t better than walking for 45 minutes, or running faster for 20 minutes. I’ll try to explain. When you are jogging slowly, the action of your legs means that it is the same as running. Running does build muscle. The action of walking actually really helps to get rid of fat on your legs, not running or jogging. So slow jogging for 45 minutes means you will build muscle, without really getting rid of the excess fat that walking will. So you’re probably better off better walking. When you are running faster, your body is burning lots of calories and you’re pushing yourself so your fitness is increasing, which is great. But jogging slowly isn’t really that challenging, and you’ll burn less calories. 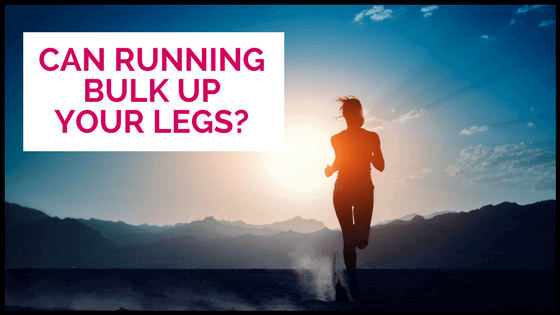 It may even bulk up your legs because you are overdoing the running. You’re not getting the full benefits of running if you’re just slowly jogging. I think it’s better and more effective to either run faster or just walk. That is my preference. Slow jogging is still better than nothing though so you can do it – it’s up to you. But I don’t think it’s as effective as the other two. I FEEL LIKE RUNNING BULKS UP MY THIGHS. IS THAT POSSIBLE? Yes this is possible. Running does build muscle (but not as much as other forms of cardio or strength training). Usually only people who are shorter or are the endomorph body type (or both) have issues with building too much muscle with running. If running is a problem for you, I would avoid it. HIIT CARDIO – SHOULD I DO IT? I wrote another blog post on the best type of HIIT cardio to do to avoid bulking up your legs. As I mentioned, running builds muscle and HIIT running will build even more. If you’re interested in doing HIIT cardio, please have a read of this blog post! Whether or not you do HIIT cardio depends on your body type and to a certain extent, your fitness level. If you are short or an endomorph body type (or both), HIIT cardio may not be the best exercise for you. It will build some muscle and with a shorter frame, more muscle may not be your goal. It could make your legs look bigger. If you know that running makes your legs bigger, then I would avoid HIIT cardio. I mention fitness level because HIIT cardio is hard, and you need to have a good base cardio fitness first to do this exercise effectively and get the benefits. Being able to run at a medium fast pace for at least 20 minutes would be a great start. After that, I think you would be fit enough to add in some HIIT cardio. I am 23 years old, and I have a mesomorph body type. I’ve been struggling with my thighs, specially upper/inner thigh area for a few years now, and I want to start walking more (thanks to your blog haha). However I have a problem, the country where I live in has a lot of hills (really a LOT, right when I get out of my house) and I think this might bulk up my legs even more if I walk those hills everyday. I also don’t have a treadmill and the gym is veryy far away from my house. I’m a bit sad about this because I used to run and do a lot of HIIT workouts without the desired results (they would slim my upper body and bulk up my thighs) I really think walking more could save my legs and change them the way I would want them to. I have found Leslie Sansone’s youtube videos and other indoor walking videos on Youtube and I would like to know what you think of those ? Are those a good alternative ? (although I am aware walking outside would be better). 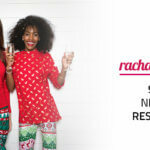 Hi Rachael, this was very helpful content. I am an endomorph and rather short, and had been doing a lot of HIIT, weights and functional training and got bigger hips now. I will follow your advice. What about swimming? Is it also not recommended for endomorphs? Hi, im currently doing jillians micheal wirkout 5 nights a week. Im short abd have muscle with bit of gat on my thigh but really tones on upper body. Is it okay if I add 45 mins of power walking 5 morning a week or is it too much all together? 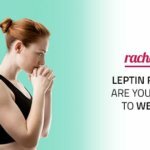 I have your lean legs program and generally love it! I’m in between ectomorph and mesomorph and have generally been my slimmest when running. However, I just developed some pelvic floor problems that have made it so I can’t run. I’ve figured out how to modify my HIIT to keep my HR up without being high impact, but for steady cardio, other than walking, what would your number one running alternative be? Arc trainer? Swimming? Asking for anyone who might have an injury that eliminates running. Thanks!! The best alternative to running is power walking. Another great option would be swimming and boxing. :) You could also do elliptical training as a last resort – it won’t help slim down your legs like walking and running, but it could be a good alternative until you recover fully. Hi, I want to lose weight on my thighs and bum in particular? Is spinning good for this? I don’t want to build muscle or look muscular. And how often can we go for a spinning class and not build too much muscle? If you are an endomorph, then spinning will most likely make your legs bigger so I would avoid it completely. If you are a mesomorph, you may or may not be able to get away with spinning (some mesomorphs are OK with it, while others aren’t). Either way, I would still only do it 1-2 times per week maximum because overdoing it with cycling will most likely make your legs more muscular. I’m 15 and I went on a diet when I was on a healthy weight (50 kg) I had a low body fat percentage and the diet made me lose a lot of muscle. I gained all the weight back from fat. I look skinny fat now (especially around the belly) and I don’t know what to do. I would like to increase lean muscle and lose fat but I heard that cardio can make you lose muscle which is the last thing I want. Should I do cardio anyway? Or only focus on body weight training, Pilates etc. I recommend doing more resistance workouts and weight lifting than cardio. Also eating more whole foods rich in protein. I would also suggest downloading our free 7 Day Slim Legs Diet and checking out our YouTube channel with lots of great workout videos :). Hi there I am an athlete and have just stopped due to acting work, and I have bulked up my legs to much for my requirements. If you’re getting shin splints or other injuries from running, getting orthotic supports will really help. A lot of shoe shops will analyse your walking/running gait and will then give you a shoe with the right support. I would also suggest seeing a podiatrist who will give you orthotics to specifically suit your foot – they are amazing! I’m 18 and am currently not working out. I used to work out all the time few years ago but noticed that I did a huge mistake; only doing cardio and no resistance training whatsoever. I have now thought about working out again and read many articles about being skinny fat. My arms are pretty skinny but my thighs and stomach are what troubles me. So, do you have any workout plan I could follow? As a starter? It also includes a full meal plan, a separate recipe eBook and demonstration videos. The workouts are 5-6 days per week and they only take about 20-40 minutes, plus walking. hello, i just started exercising. i go to the gym almost every day. i want to reduce muscles on my legs. what about treadmill and ARC trainer? do they work? I would recommend walking and running on a treadmill without an incline. This machine may or may not cause bulkiness, depending on how easily you gain muscle. However, it won’t slim down your legs like running and walking will. The pushing down motion means you engage your quads more so it will build more muscle there.